Supplying Manufacturing, Education and Research Industries since 1970 ! 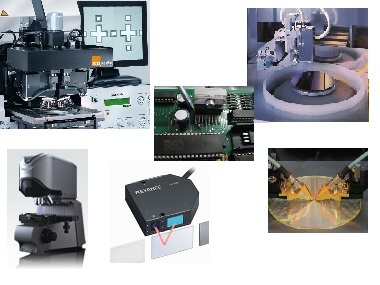 Coltronics Systems is a specialist in all aspects of delivering and maintaining capital equipment and consumables for the manufacturing, electronics and semiconductor industries. Coltronics Systems is proud to continue to contribute as a SILVER SPONSOR for this years annual showcase for the Australian Nano Fabrication Facilities (ANFF) to be held this year at the Sydney NanoScience Hub in Sydney Uni. This years will be held jointly with the AMMRF. This follow our similar support over the last half a dozen years. The showcase brings together all the 24 university groups involved with Nano Fabrication from across Australia. Groups present the work they have completed over the past year and outline the continuing projects and developments. Coltronics Systems Pty Ltd has completed the move of it's base of operations from Banksmeadow to Botany in Sydney's East. It's a short drive from our old premises. This provides Coltronics with close access to Sydney's freight and transport hubs of Port Botany and Sydney Kingsford Smith Airport. Our new address is : 19 BYRNES STREET, BOTANY. NSW 2019. Our new base provides an integrated warehouse and office space with room for expansion. The location is ideal with a fifteen minute drive to both Sydney Airport and the Sydney CBD.